We can help you choose the right Dinghy, Windsurfing Equipment or Paddleboard for your skill level and the conditions you want to use them in. When you're ready to buy we can offer expert advise, guidance, rigging tips and demos to help you get the most out of your new boat. And if we don't have the equipment thats best for you, we can recommend the very best suppliers for the equipment you need. With over 20 years in the Watersports Industry, Our Professional Team can give you advise on Kit and Equipment no matter whether your a Watersports Centre, School, Sailing or Windsurfing Centre, an Outdoor Activity Provider or your looking to buy for yourself or a gift for a friend. The Topaz Sailing System is the triumphant result of a five year development programme in which renowned designers Ian Howlett and Rob White, builders White formula and Topper International accepted no compromises. The team’s pursuit of excellence in design and construction ensures that the Topaz will attract sailors of all ages and abilities for many years to come. The Topaz Sailing System quite simply means that the boat can be set up to satisfy the requirements of the sailor or sailors on the day. The Topaz Sailing System has a truly wide appeal, value for money and a sailboat that anyone can master quickly, yet which offers many stages of advancement. The Topaz delivers versatility without a hint of compromise. She offers a variety of sailing options, ranging from simple yet thoroughbred single hander to a pedigree new generation gennaker sailboat. With graduated steps inbetween, the choice is yours. 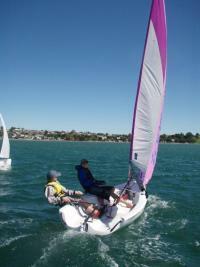 The Topaz Sailing System provides fast track sailing from beginner’s basics through to complex techniques – a system that matches the requirements of modern families and forward thinking sailing schools and holiday companies around the globe. One of the many secrets behind the Topaz success story lies in the remarkable sophistication and ruggedness of the manufacturing process. Rota-moulding is very strong but finish quality on other designs is often poor and mouldings are heavy. Topper International have a unique understanding of manufacturing in plastic, built up over 30 years of producing the original topper dinghy. The Topaz optimises the special needs of the chosen moulding technique to new and unrivalled levels of sophistication, ensuring uniformity of wall thickness and the perfect strength to weight ratio. Masses of buoyancy are built into the ultra stiff hull which is vital to the sailboats responsive performance on the water. This precision moulded TRILAM 3 ply sandwich is unique to Topper and guarantees that no other rota moulded sailboat comes even close to the Topaz in terms of strength rigidity and durability. What you get is a beautiful curvaceous hull that performs like a dream, is virtually maintenance free, comes complete with an impressive 3 year warranty and in the unlikely event of an accident is easy to repair. Quite simply, the Topaz is a landmark design offering the perfect combination of simplicity and thrills to a new generation of sailors. Once you've used our Topaz boats you'll want to buy one and you can do that right here at Elements Watersports. See details below on the fantastic range of boats on offer for you, your family or your sailing club. Then simply call us on 0275 369 807 or email info@elementswatersports.co.nz to arrange a demo. Set up and tuition is also available as part of your package when buying a boat with Elements Watersports. New and second hand boats are available to buy and you also have the option to join our Topaz Owners club and meet and race with other likeminded sailors. 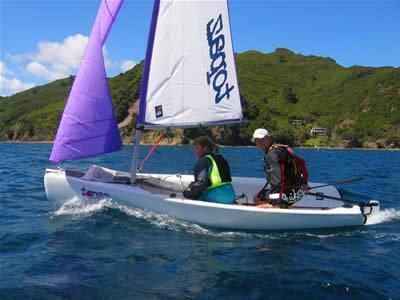 This is a simple and deeply rewarding single sailed fun boat with great stability and ease of handling. Newcomers will feel comfortable with the UNO from day one. The ultra spacious, uncluttered and comfortable cockpit and high boom immediately inspire confidence. The outstanding stability and 5.6m sail area provides the perfect introduction to Sailing. Learning to Sail has never been so simple or so much fun. The sail can be easily reefed around the mast when the wind increases or to reduce the sail area to teaching very young children to sail with confidence. The centre mainsheet and high boom make for trouble free tacking and gybing. Simplicity is the key with the Topaz Uno. She is easily rigged in a matter of minutes and the UNO is stable and easily controlled by even the youngest newcomer. 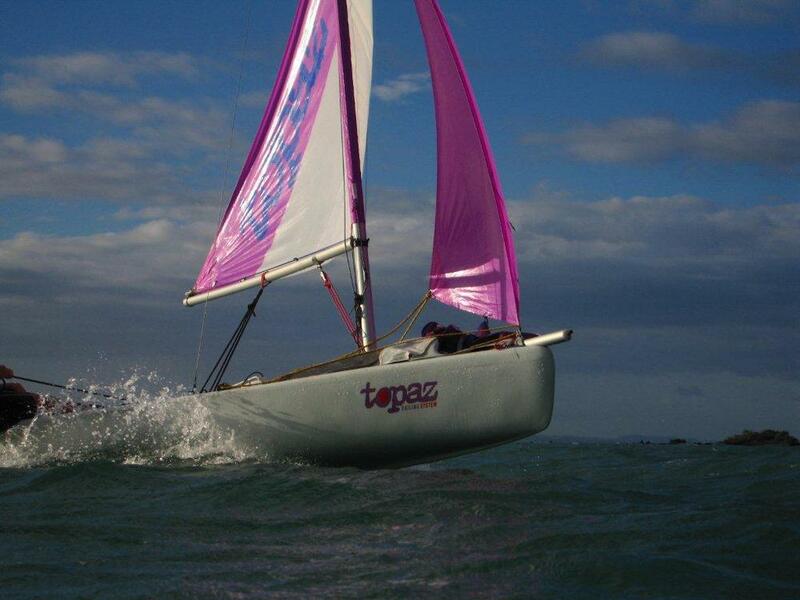 The Topaz UNO is a great introduction to sailing and surely is the definitive small teaching boat. “The Topaz scores top marks. She was smooth, responsive and exceptionally well balanced… Topper has come up with a dinghy that has that special ingredient that sets it apart” Sailpower. The Uno Plus and Uno Race Plus give an extra dimension to the simple UNO rig. The upgrades require a minimal tweak to the rigging of the standard UNO but add a greater sailing variety that only the ultra versatile Topaz Sailing System truly delivers. You can upgrade your UNO or UNO race to a PLUS in minutes simply add the jib and you have the best value two person sailboat on the market. The addition of the jib is a real winner for young families and it has proved to be our best seller. The latest edition to the comprehensive stable of Topaz Sailing System rigs. The Topaz Race X adds a new and exciting option for singlehanded or two crew sailing. The power source is a large but controllable fully battened 6.9m2 Mylar main sail and big race jib. But the icing on the cake for the little pocket rocket comes in the shape of a full on 9.0m2 asymmetric gennaker. The Race X delivers seriously fast sailing for the club sailor right through to a professional sailor. The asymmetric system is simple, easy to use and easy to trig and takes the boat to yet another level only found in boats costing twice the retail price. Call us today to talk about the many options for you and your family for a modern, stylish and easy to sail dinghy. “A superb boat with loads of room, good performance, nice looks excellent systems and fittings at a very good price” Yachts & Yachting. This family boat is the largest on the Topper range. She can comfortable hold a family of upto six. 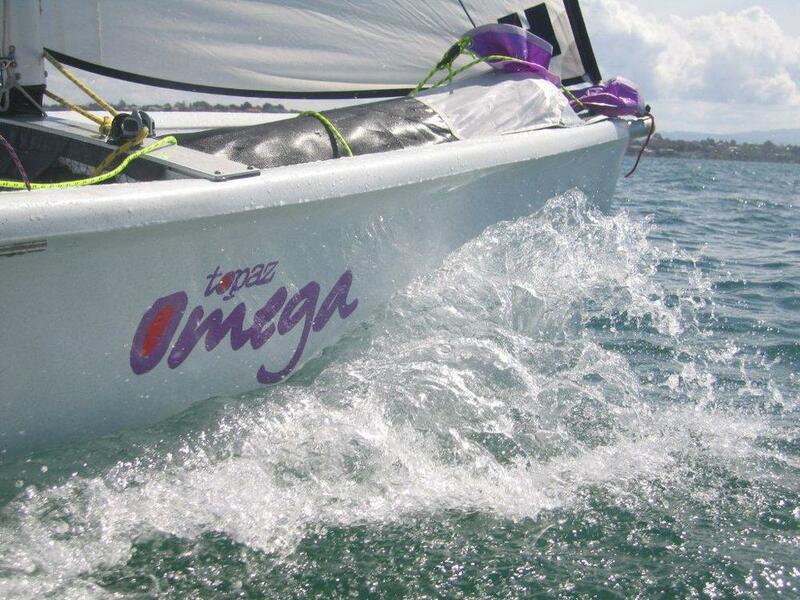 The Omega is an incredible versatile boat that is fantastic for club racing, teaching or sailaways and picnics. The beamy, chinned hull inspires great confidence making the Omega more stable and easy to control. The huge spacious cockpit with its gnav kicker offers roomy and comfortable sailing for up to six adults. The Omega has a furling jib as standard. The mainsail is equipped with a floatation device and this, together with the boats sealed mast offers safe fun family sailing. The boat can be sailed single handed due to the zip reefing system in the mainsail adding yet another layer of versatility. The single line halyard makes for easy launch and retrieval of the gennaker which could be operated by beginner sailors. All fixtures and fittings are of the highest quality fit for high end racing classes. “The Omega is a boat which pretty much all ages could enjoy – one up, two up, three up or more up” Yachting Life.